Are you interested in Angular 2? This is a chance to discover Angular 2 to full extent. Contribute to unique tool which helps to measure and improve humanitarian and social projects around the world. Are you Interested doing something meaningful and to take on some challenge? Salanga is an organization providing training and consultancy to non-profit sector in humanitarian and international development fields around the world. 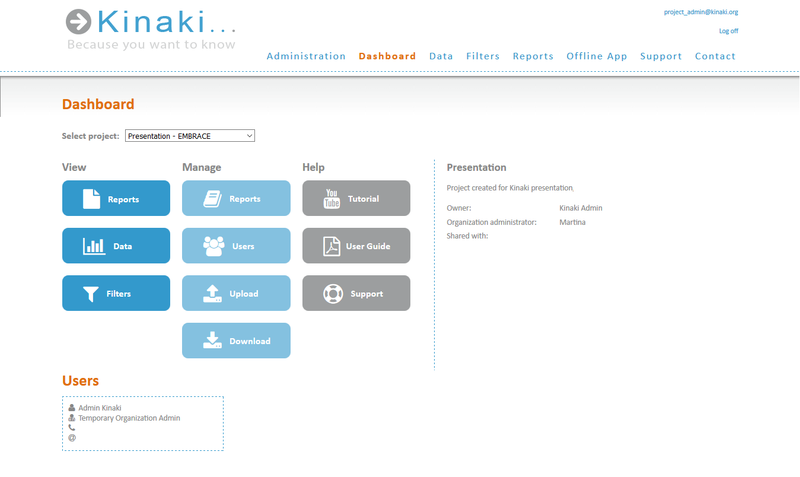 We created Kinaki, ASP.NET web application that helps to measure, visualize and improve impact of humanitarian and social projects in 17 countries like Rwanda, Malawi, Cambodia, Burma but also Canada and Czech Republic. Currently we are in the stage of re-design and re-development of existing application. And we are looking for an external developer to work closely with our team. The future version of our application will be running C# WebApi and HTML5, CSS3, Bootstrap, Angular 2 interface. You will be working on development of the UI for new and existing features connecting them to WebApi, hosted-on MS AZURE. We are looking for full-time or part-time (at least 20 hrs a week) commitment with opportunity for long-term cooperation. You can work as an employee or on a contract. We have design and we know, what should be the result. You will help us to find the journey and you will create intuitive, user-centered interface. Our team is located globally and provides very flexible work environment. You will be working closely with our chief developer and possibly other developer(s) on the team. But you will also engage with our programmatic, non-IT people. You are a thinker. You are excellent in what you do. You are a great communicator, able to write and talk in English (and ideally also Czech), able and willing to explain technical solutions to non-IT people. You are experienced with Angular 2 or a quick learner), HTML5, and should have at least some understanding of C# Web Api. Your previous experience with MS Azure, offline android and windows desktop native apps and data synchronization are huge benefits to our team. We don’t care about your CV and education, we care about you, your skills and dedication. Meaningful work, excellent team, off-work activities, you will be able to influence solution, flexible work hours and location. Personalized benefits and adequate pay. Clear and fair conditions and non-discriminating environment (women, young professionals and people with disability or from minorities or anybody else is welcomed on our team). We are looking preferably at people based in Czech Republic, Slovakia or Ottawa, Canada. Interested? Get in touch!